There’s something beautiful and eerie about Regent’s Park – the large, green and often empty space just minutes from London’s West End. I’ve felt this on the many occasions that I’ve been there over the years. When my wife and I frequently travelled to London some years back, we would usually stay at a nearby hotel, from whence I’d set out for 5k or 10k runs early in the morning. My route would take me around the Outer Circle and partly into the park, and more than once I felt wholly alone, my only company the statues that occasionally appeared out of the early morning fog. Even at noon, when families and office workers throng the Broad Walk that runs through the center of the park, three minutes walking off a side path can bring you to solitude. Last Saturday I did something I’d never done before – circumambulate the park at night. We’d just arrived off a flight from Dublin, and the previous day had been a long one. I set out alone, to take the air, and discovered that our accommodation was less than 10 minutes from Regent’s Park. And so, in the darkness, encountering only the occasional walker and a small number of passing cars (London was empty, it was the holidays), I walked the three miles around the Outer Circle. Part of it was lit by a long row of street lamps, another part in total darkness – which made traversing the old, broken pavement that bit more difficult. The atmosphere was what I remembered, though: an air of natural beauty, even at night, offset with an occasional start, as when an animal (or something else) would break cover in the undergrowth on the other side of the park fence. In my mind I thought of Maurice Bendrix, the main character in Graham Greene’s “The End Of The Affair”, and his nocturnal walks in another, not too distant, London park during the blackout of The Blitz. There was something Greene-like about the quiet sense of order, the neat pathways and clipped back hedges of the park, which faced the large, authoritative faces of the expensive houses that bordered it. It was a setting that awaited an event – a scream, a shot, running feet on the pavement, a hand on the shoulder. I turned off the music in my headphones. Minutes later I walked back into the streetlights near Hanover Gate, and all such feelings subsided. I sped up and was home within 20 minutes, to a seat, a cup of tea and dinner plans. I quickly forgot the park feeling. Until, leaving London three days later, I came across the picture above, which I’d taken on the lonely street of the Outer Circle. 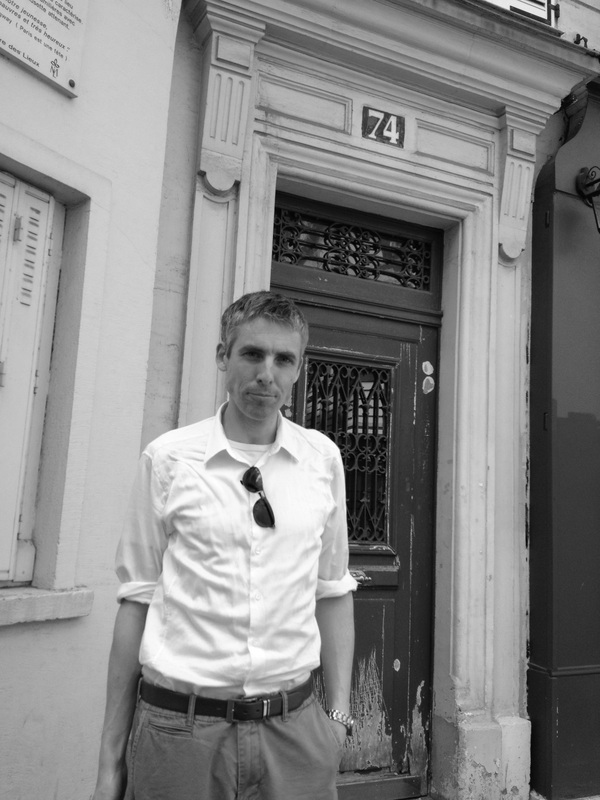 I elected to keep it, and write this piece, as a reminder that – even in the hyper-connected and hyper-surveilled heart of a 21st century city, there remain moments, stretches, of wonder and unease. We may never be quite as secure as we think we are. Marking the passing of time by registering certain dates seems remarkably futile – after all, why should a one year anniversary hold any more meaning than a one year and one day anniversary? And yet. As I stood on West Street in downtown Manhattan this weekend it occurred to me that – 20 years to the day – I also stopped on the same street, perhaps even at the same spot, to take a photograph of the Twin Towers. Back then I could barely visualize 20 days into the future, let alone 20 years. 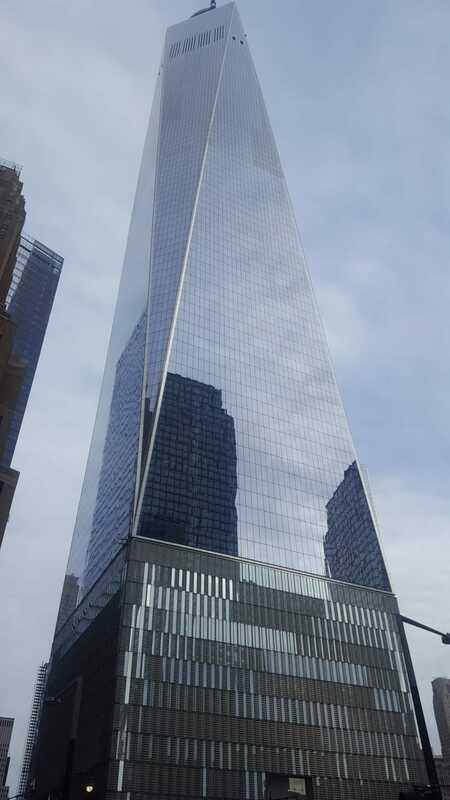 Staring up at One World Trade Center, I wondered where they went. What of the hundreds of people I’d known, or worked with, or briefly encountered during those years? Or the smells and sights of the places I’d been? Or the high highs and low lows of those intervening decades. How many of them could I recall? Were they already disappearing? Twenty years hence, would I even recall the day I first stood on West Street? In other words, what is the point of marking the passing of time? Shouldn’t I take a hint from this most famous of forward-facing cities, and focus on the future, leaving the past to the past? And yet, and yet – I still found myself standing on West Street, looking at the impossible skyward glass, absorbing its curious mix of hope and fear. I didn’t go to Anthony Bourdain for his food or drink stuff. Discovering a hidden basement bar in London, watching the work of master sushi chef or seeing Barack Obama eat Vietnamese food was a bonus. But what I liked most about Bourdain was his common sense – his basic ‘do unto others as you would have them do unto you’ belief. This attitude elevated the everyday people he met and worked with, while also pricking the pomposity of the various toadies, politicians and scenesters he’d occasionally come across. To that end, of all his writing and television work, his CNN “Parts Unknown” programs appealed to me most, probably because they afforded him the most leeway to propound Bourdainism – that uncommon philosophical mix of Bruce Springsteen and Thomas Keller. One of my favorite clips from “Parts Unknown”, and one which has returned to my mind repeatedly in recent days, was his 2016 visit to my favorite restaurant, St. John in London. To put it another way, the place is a beacon of common sense. That’s why Bourdain returned to it again and again, in print and on-screen, over the past two decades. That’s why my wife and I do the same; every time we are in London we make it to the small narrow premises – a former smokehouse – near the former Smithfield market in Clerkenwell. I’ve been running regularly for years but I can’t say I’ve enjoyed every day. The more I think of it – I doubt I enjoy half, or even a quarter, of my outings. Usually there’s something in the way – in the evening I’m tired after the workday, in the morning I’m hungry because I’ve yet to eat. At the weekend I’ve other plans or chores to contend with. Last weekend I found myself lacing my shoes in Seattle, on a Sunday morning at the end of a weeklong vacation (which involved some late nights and a lot of good food). On screen the night before, a short run around Washington Park looked fine. In reality, it looked hilly. At 7 a.m. the following morning, if I’m being honest, my heart was sinking. A run in another city, on terrain and in an area I wasn’t familiar with, without feeling too good to begin with – all signs pointed to ‘meh’. Then I started, straight into a 30-degree incline outside the door of our accommodation. Once I made the top of the hill, instead of my all-too-usual irritable, morning running mood, I felt a strange lightness. And so I continued, around the outskirts of the park, stopping occasionally to check signposts for directions. 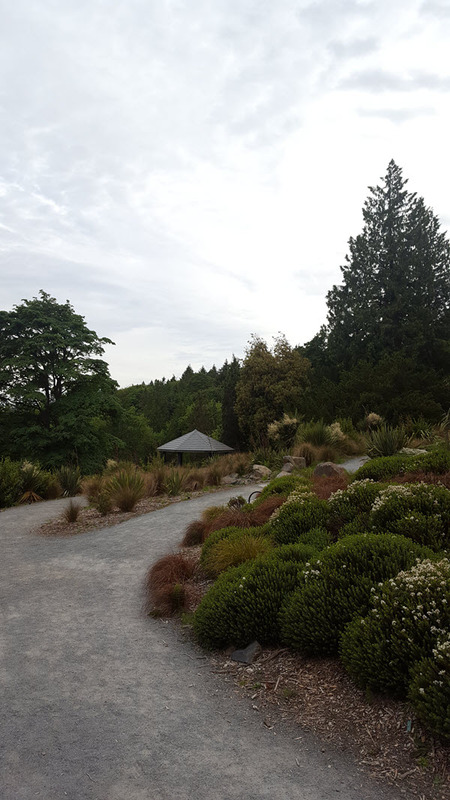 After 5 minutes, running alone on a Seattle Sunday morning, skirting a beautiful green space, all my irritation had evaporated, replaced instead by – to quote the “Parklife” lyric – “a sense of enormous well-being”. Twenty-five minutes later, by the time I descended the hill back to my lodgings, having run through the silent, people-less park, my mind was reset. The lethargy was gone. Even my usual aches and pains – born of years of jogging – seemed to have disappeared. Yes, of course there’s a moral to this story. Of course it’s always better to get out than stay in – even when every urge is keeping you in your bed, or with your book and coffee, or playing with your puppy. But simple as it is, it’s a lesson I somehow regularly forget. And sometimes it takes a steep hill in an unfamiliar city on a tired morning to remind me. 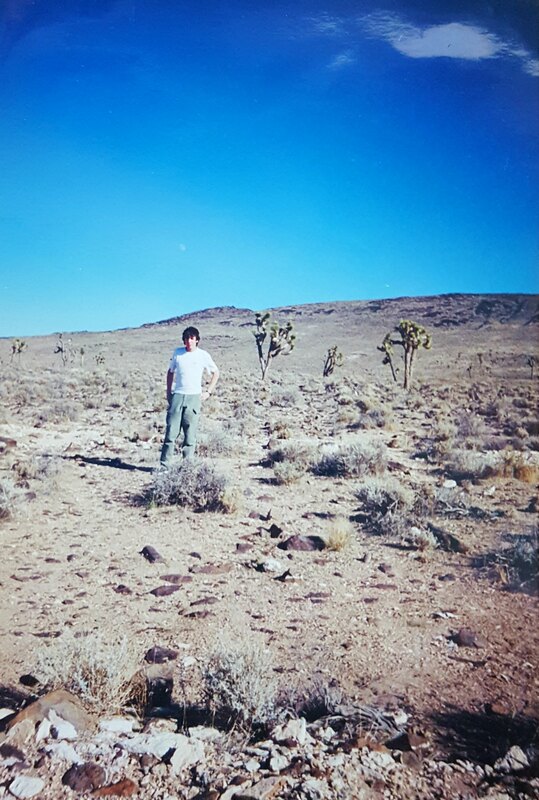 What was the 21-year-old guy standing near a small copse of joshua trees in Death Valley thinking about, as the shutter clicked on an August afternoon in 1999? For a kid from drizzly Athlone, Ireland, visiting the area, aware of some other Irishmen who claimed the joshua tree for themselves, must have been a big deal. It was, but all that remains now is an ageing print, the negative lost, which is itself decaying. Is that a moon over my right shoulder, or just a mark on the print? My shadow indicates that it was shot in the late afternoon. I can’t remember who took the picture – it was one of a group of friends I was travelling across the States with at the time. More to the point, I can’t recall where it was taken – though, given the heat, I’m sure it was just a few meters from the blacktop of highway 190. Hindsight might tell me that is a photograph of a young man staking a claim of some sort – to an interest in the outdoors, or to a love of travel, or to the country where I would relocate to 17 years after this shot was taken. Looking back today, on finding the picture in an old folder, I see a kid starting out – on a journey across both a country and something vaster. I still feel like I’ve just started. Rain. Grunge music. Starbucks. The G8 Protests. Sleepless In Seattle. In a few words, this is what Seattle meant to me. Until last weekend, when I visited the city for the first time. Of these signifiers, there’s no doubt which was the strongest. Growing up in 1990s Ireland, where rain was the standard weather and Starbucks unheard of, grunge was our default listening. 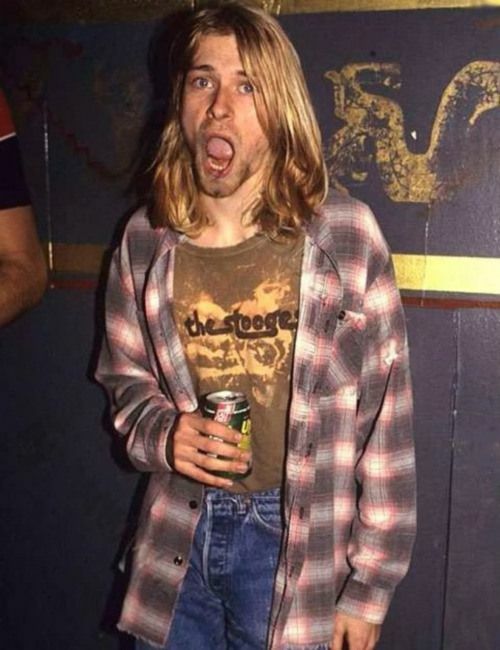 From the first time I heard Smells Like Teen Spirit, to the death of Kurt Cobain less than three years later, Seattle was the center of the world for a music-obsessed kid like me. Little did I think I’d ever get there. But when I did, 25 years later, I encountered a place a million miles from the rain-lashed slacker-town of my teenage mind. Over the course of a 48-hour stay, my wife and I took a ferry to Bainbridge Island in blistering sunshine, drank horchata amidst the madness of the tourist-jammed Pike Place Market, saw the first Starbucks store (turns out it wasn’t, actually), and ate some of the best pizza and potatoes in the Pacific Northwest (at Delancey and Heartwood Provisions respectively). And there wasn’t a plaid shirt in sight. What would Kurt Cobain make of all that? He might complain that it hardly reflected the mournful, disconsolate side of the city. To which I’d respond: well, I also went for a morning run, wound up in a big graveyard, and found myself standing at the last resting place of Bruce and Brandon Lee. Away from the cemeteries, and the gloomy final morning, when the clouds rolled in over Puget Sound and city was delicately drenched in mist, Seattle lived up to expectations but being…nothing like them. Put it another way, I went in humming Nirvana, I came out singing Perry Como. Los Angeles is not a great hiking city. A mesh of sprawling, strangling freeways that cross a vast, concrete-laden, urban area, it’s hardly known as a spot for a hearty outdoors ramble. This was my attitude before I first travelled to the city. On that initial visit I scratched off the idea that I’d get outdoors at all, given the daytime temps in the 90s. This was despite the imposing presence of the San Gabriel Mountains, which overlooked my wife’s hometown of Temple City. From a distance though, they appeared smog-choked and dusty. But luckily my wife’s family know LA, and know where to hike. Slowly but surely, subsequent visits introduced me to hill and mountain paths, most of which were within 30 minutes of Downtown (presuming traffic’s light, which is always a risky presumption in the City of Angels). And so I’ve hiked up through Eaton Canyon to the falls at its head, spent an early morning walking the Los Liones trail in Topanga State Park, and filled the best part of a day traversing the trails above Millard Canyon in the San Gabriel Mountains. Last weekend saw me add another route. Waking early, we travelled to Ernest E Debs Regional Park, a set of small hills and paths overlooking central northeast Los Angeles. Unlike previous hiking spots I’d been to in the city, Debs Park is surrounded – or so it seems – by urban LA. The 110 freeway skirts the park’s northern edge; LA’s Eastside sprawls in one direction, with a view towards Downtown in the other. There’s graffiti on the tree trunks, and desolate, burned brush on parts of the hills. But 20 minutes, and a steep tarmac roadway, later saw us perched on a dusty trail above the city. A slight breeze kept LA’s yellow smog haze at bay, and – despite the fact that it was a weekend morning – there was no-one else around. For a few moments we had our scrubby, green-brown, hilly oasis. A city of four million people lay at our feet, but the only movement was the sparrows flying over our heads.